One Army personnel got injured while demonstrating on Army Day. Purna Bahadur Bhandari got injured while doing free-fall jump from parachute. According to source Bhandari got injured while landing from parachute. He is currently taken to Bir Hospital for treatment. Nepal Army celebrate Mahashivaratri as Army Day (SENA DIWAS). Meanwhile Hindu people across the world celebrate this day worshipping lord Shiva. 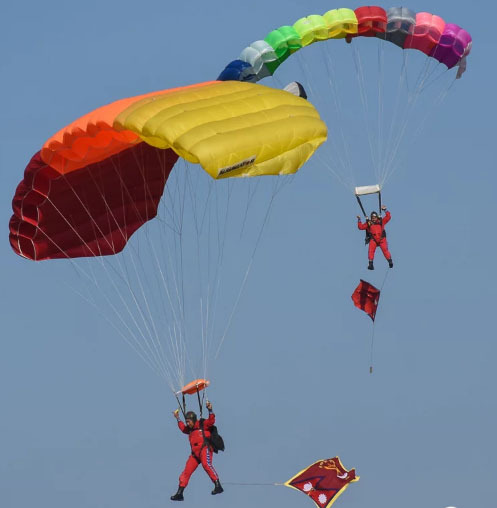 This year Army Day is started at 10:30am Tundikhel ground with many more programs like parade, band, weapon and equipment demonstration, free fall parachute jump etc. On this day best platoon will be praised and new platoon gets name.